​I was born and raised in a small western Nebraska town. From a very early age I developed a passion for art. I still remember my elementary art class in a small room above the school cafeteria and then coming home and creating an "art studio" in my basement. I began cultivating my talent in the arts while in school. With the encouragement and support of my teachers and parents, I went on to college to study Art Education. 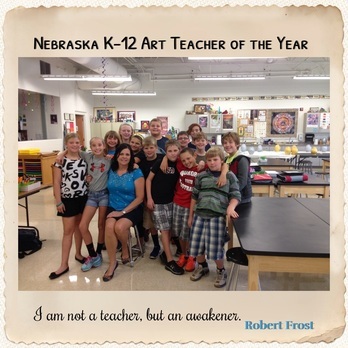 I have been teaching Art to wonderful creative minds for 25 years. I was allowed to follow my dreams and become what I was meant to be, and for that I am grateful to parents that said it was OK to be an artist. My parents hired a Native American artist to paint a mural on our large living room wall when I was a child. They will never know how that daily view influenced my lifelong passion for art.